Posted on November 6, 2012, in Quotes by The Greats! 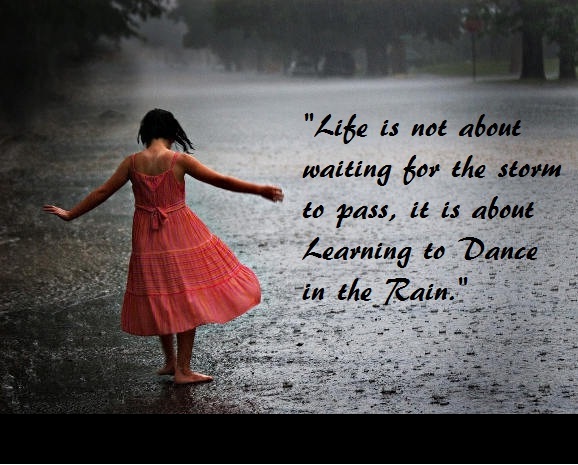 and tagged "Life is not about waiting for the storm to pass, difficult times in life, facing tough times, inspiring thoughts, it is about Learning to Dance in the Rain.". Bookmark the permalink. 1 Comment. I would like to know how to buy a copy of the little girl in the rain.